Weddings at Epping Forest are beautiful. They usually happen in front of the fountain. 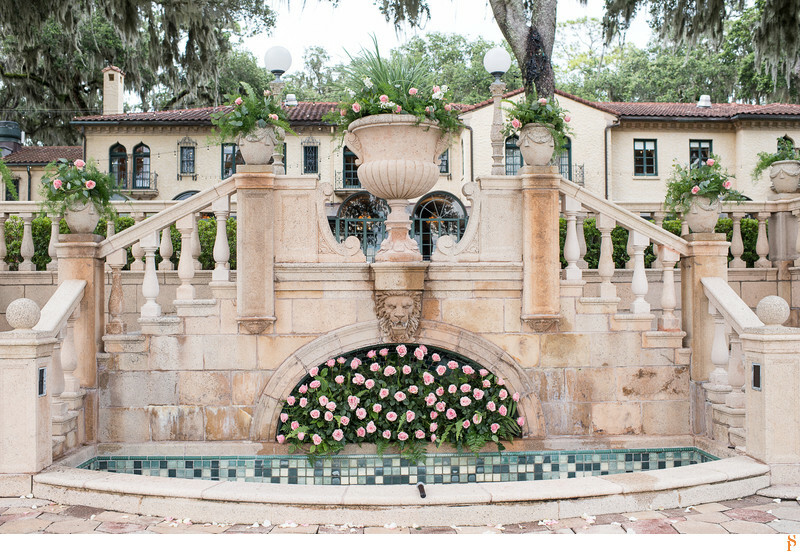 In this pictures, the florist decorated the full fountain with pink fresh flowers, they were fresh roses. The pink complement the blue of the fountain. Location: 1830 epping forest, Florida.